Why is the meat content not 100%. 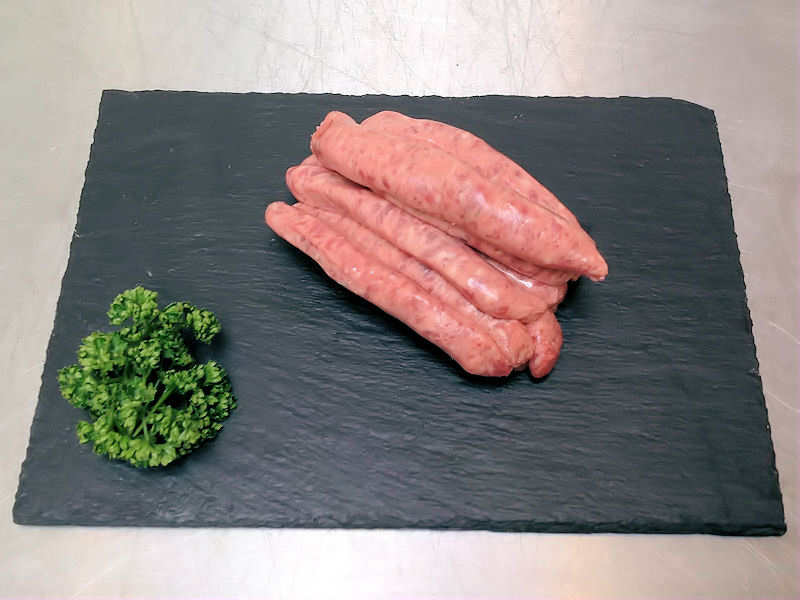 A sausage with 100% meat content would not cook well. 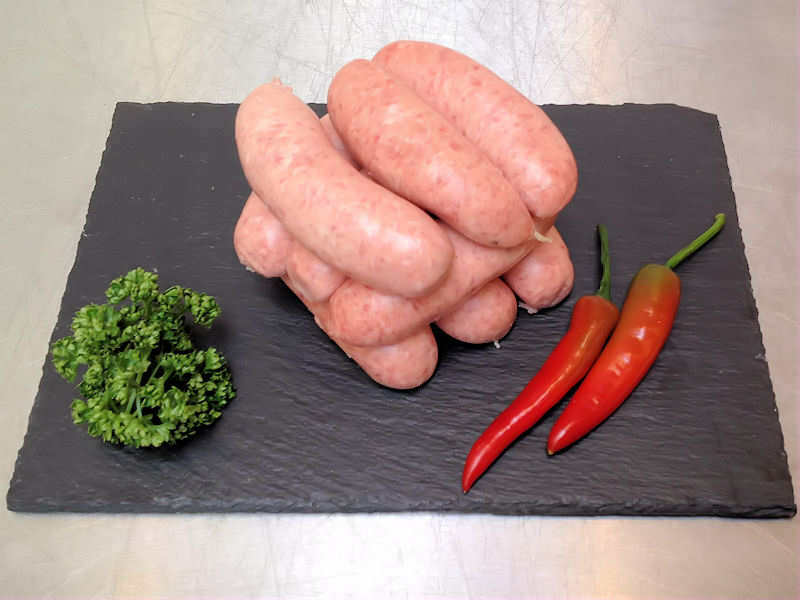 We make our sausages using a traditional mix which helps to give a succulent taste and reduces shrinkage. Sausage making is an important part of nose to tail butchery; in getting the most from an animal and ensuring nothing valuable is wasted. 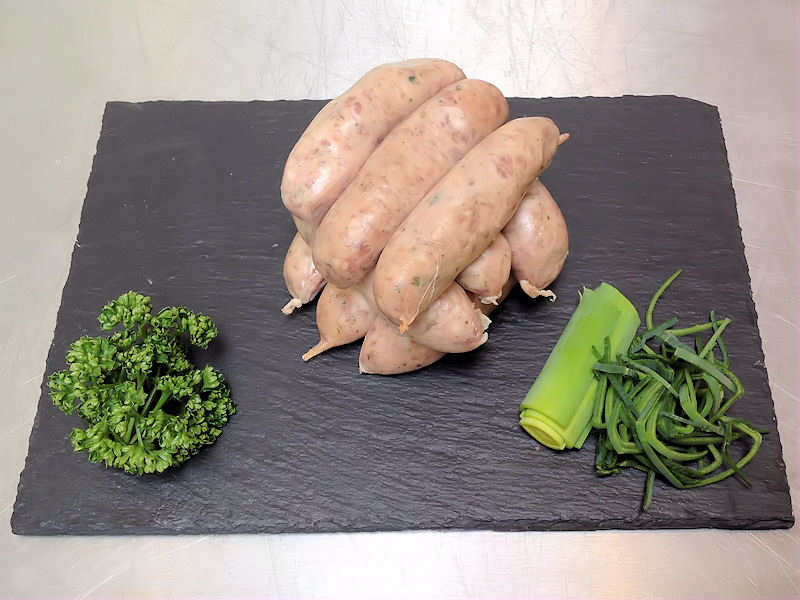 In the days before refrigeration  when the whole pig needed to be cooked or set to cure in a day or so sausages would be quite strongly flavoured with plenty of herbs and seasoning, and either eaten that day or hung above the fire to dry so that they would keep a while. 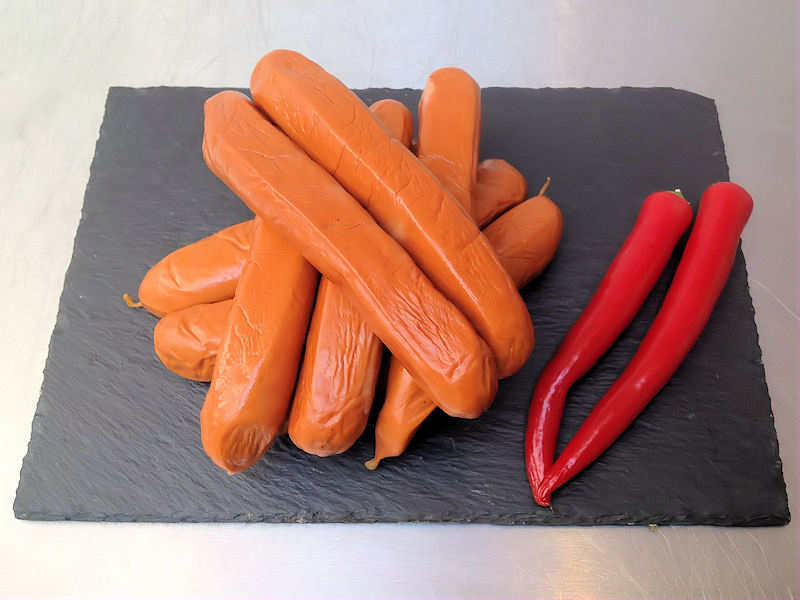 As refrigeration became possible we moved towards a fresher sausage, with just a little salt and flavouring, intended for eating within a couple of days. 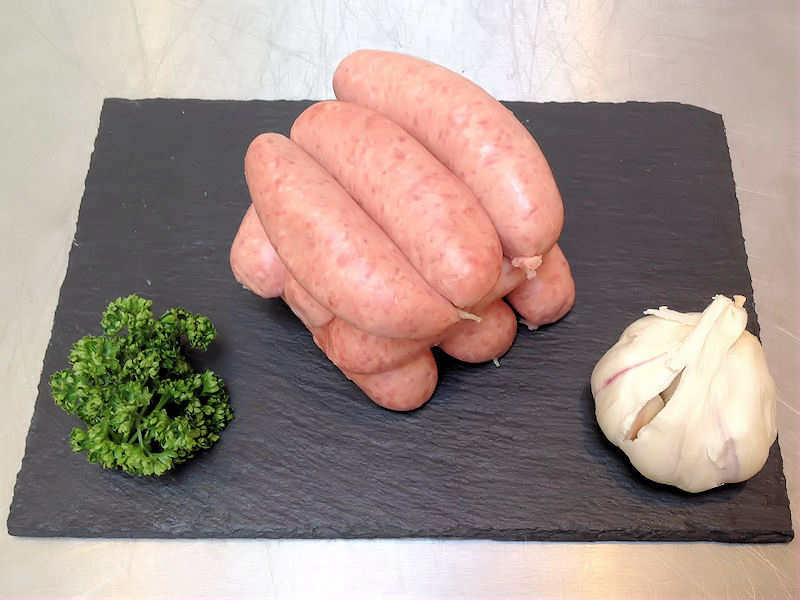 We use a blend of pork belly and shoulder to ensure a good fat content, which bastes the sausages from the inside as they cook. 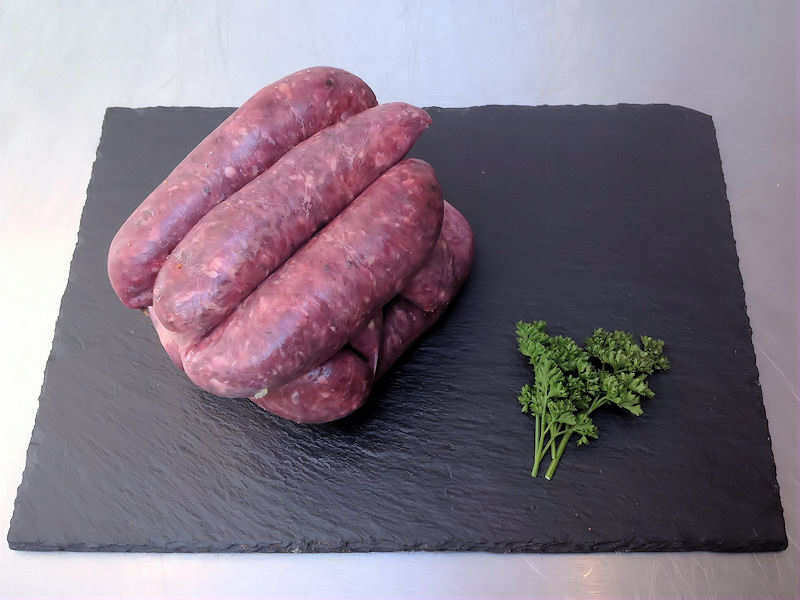 With the exception of our Berkshire breed, and Toulouse/Garlic Toulouse sausages, which are pure meat and intended for stewing, we use around 20% breadcrumbs in the mix. This helps to retain succulence as they cook  the juices stays in the sausage rather than escaping into the pan. It comprises pork, salt, pepper, nutmeg, mace, which is mixed with breadcrumbs. Available in chipolata size too. Best for: a good all-rounder, makes unbeatable toad-in-the-hole. Historically a highly spiced sausage due to the 18th century spice trade into Whitehaven, however the Cumberland has now mellowed into a fairly subtle recipe. 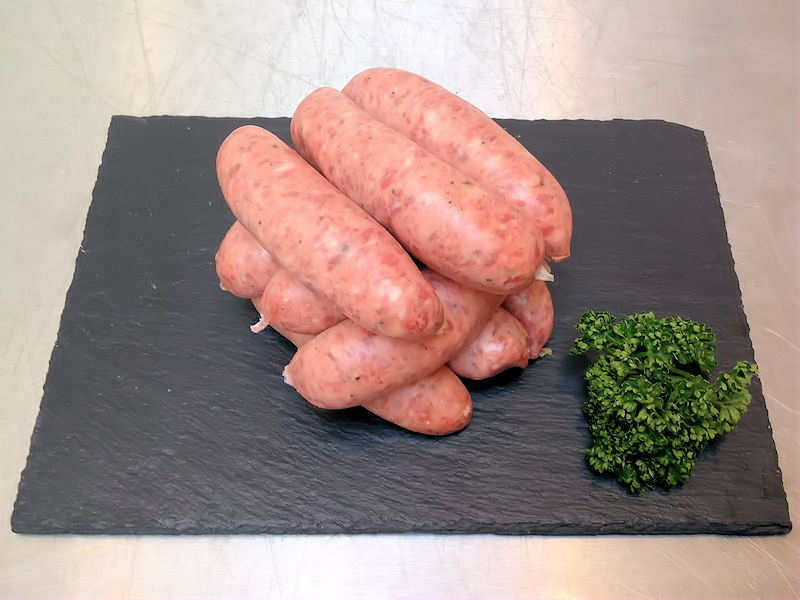 Our Cumberland sausages are among our simplest, dried sage, pork, breadcrumbs, and a little salt, pepper, nutmeg and mace. Best for: breakfast, baps and barbecues. An uncomplicated but meaty sausage, made with no breadcrumbs. Coarsely ground pork belly and shoulder with just a little salt, pepper and nutmeg. Best for: casseroling or cooking in gravy, and makes a good, robust toad-in-the-hole. A little on the meaty side for breakfast. A finely ground sausage of pork belly and shoulder, loosened with a few breadcrumbs, pepped up with coarsely ground black pepper. Best for: both breakfast and dinner, for anyone who loves pepper. 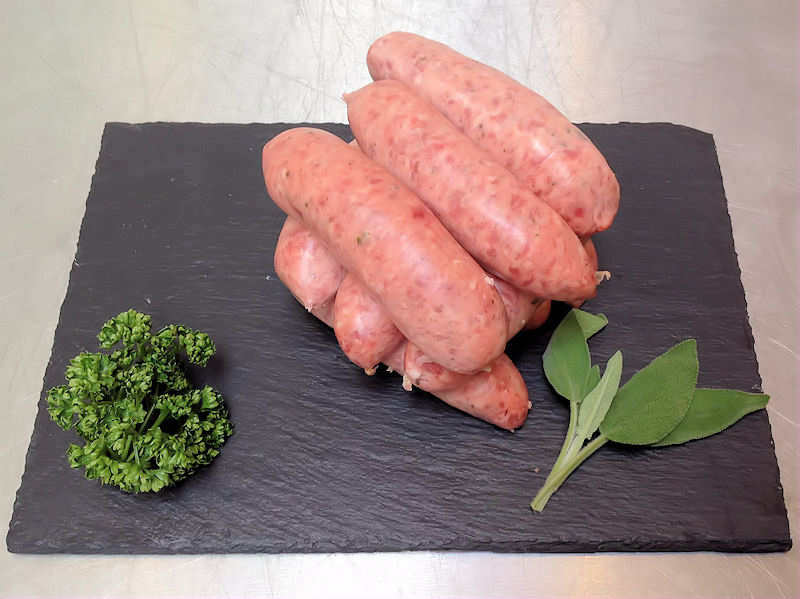 Made to an authentic French recipe, and the only sausage for a proper cassoulet. 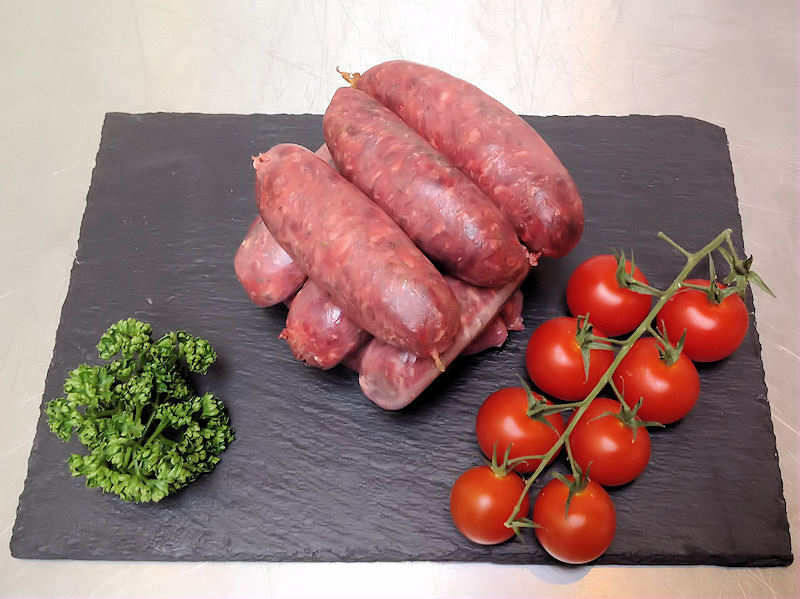 The Toulouse sausage is Coarsely ground pork with plenty of little pieces of back fat (which render during cooking), generously seasoned with salt, white pepper and a little saltpetre, with added garlic for that variety. 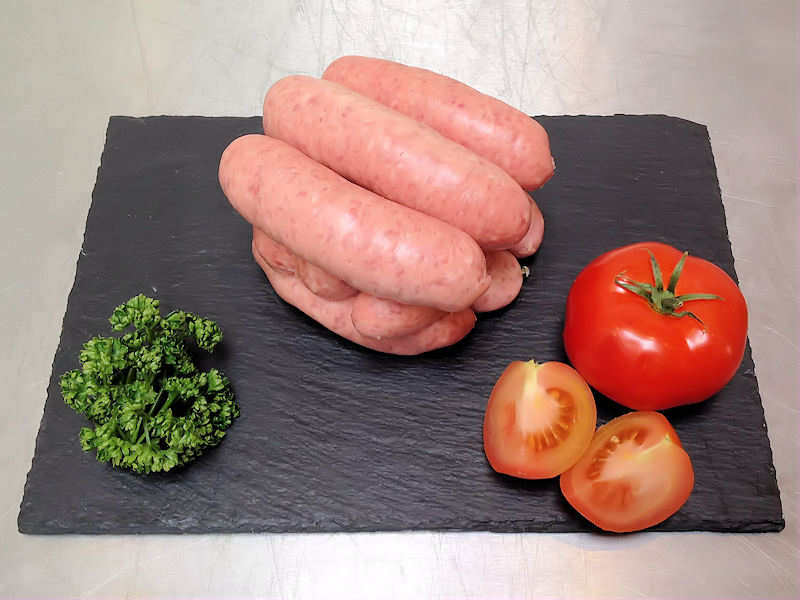 No breadcrumbs are used  a meaty and coarse sausage. Best for: cassoulet and any slow-cooking sausage casserole or braise. Not for grilling and definitely not for breakfast! My take on the classic fiery, Moorish lamb sausage. We usually use mutton here for real depth of flavour, teamed with a warming harissa, breadcrumbs, salt and pepper. 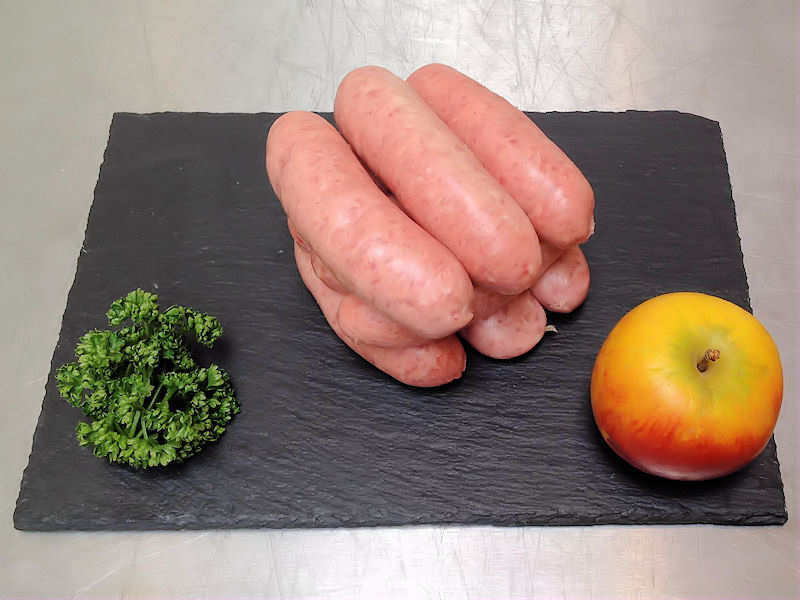 A chipolata-sized sausage. Best for: grills and barbecues brilliant in a bun with lots of roasted peppers and onions.